Gnome Disks has many features, like S.M.A.R.T. monitoring, partition management, benchmarking, and more, including one that might not be obvious, but is very useful: it can set drives to mount automatically at startup. Use it to auto-mount your new hard disk that uses Ext4, your Windows NTFS / exFAT partition, etc. Disks, or Gnome Disk Utility, is installed by default in many Linux distributions, including Ubuntu, Fedora, both Linux Mint Cinnamon and MATE, Xubuntu, and so on. If it's not installed, use your Linux distribution's package manager to install it - search / install gnome-disk-utility. 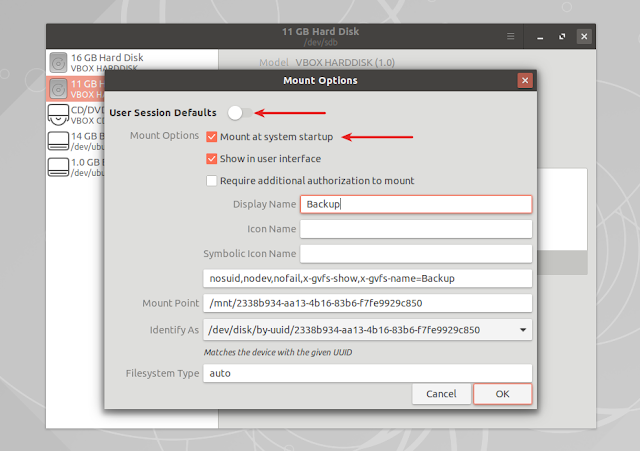 For each partition you set to mount automatically on startup, Gnome Disks adds an entry in your /etc/fstab file, useful for those who are not very familiar with editing /etc/fstab. 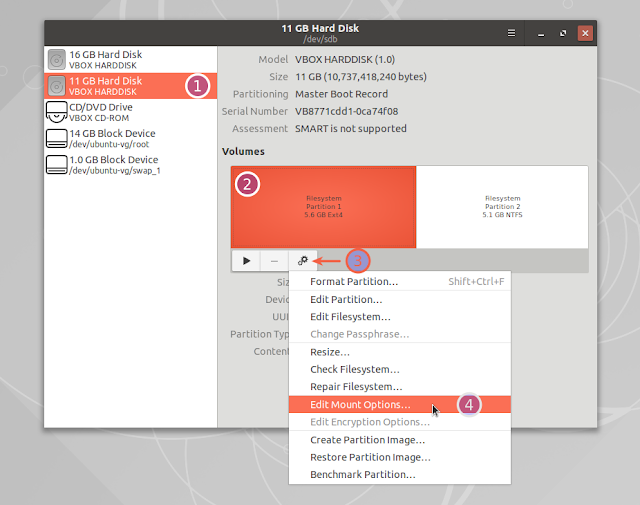 That means each partition mounted on startup through Disks is available system-wide, and not just for your user.